Are Dharma Acid Dyes grouped as warm versus cold colours? Which are the best to start with? Message: Thank you for your website. I have a question concerning Dharma Acid Dyes. They have several primary colours. Do you know if they group them in warm and cold colours as Jacquard does? Which ones are the best to start with? Warm colors are those with red in them, while cool colors are those with blue in them. A very pure cyan, magenta, or yellow can be used equally well to mix either warm or cool colors. This is why printers can produce any hue by combining just cyan, magenta, and clear yellow, plus black for darker shades. If a dye’s color is not a pure enough cyan or magenta or clear yellow, however, it cannot be used to produce all hues. If a blue is more indigo than cyan, it will work well for mixing purples, but poorly for mixing greens. A greenish cyan will be good for mixing greens, but if used to mix indigo blue or purple, it will produce a duller, darker color. A red that is on the yellow side of magenta is great for mixing orange, but the purples it produces in mixtures will be brownish, while a blueish red is wonderful for mixing purples but poor for mixing oranges. A yellow that has too much orange in it cannot be used to mix a pure aqua green, but it works well for more olive-toned greens. This means that, if there is no dye in a particular line of dyes that is a pure printer’s primary, one must obtain both cool and warm versions of each of the three primaries, in order to be able to mix every color. In addition, dyes have other characteristics that vary, such as how quickly they spread on the fiber before bonding to it. This is inconsequential when one is dyeing solid colors, but can be crucial when the dye is applied directly to the fiber. If it is important that a dye mixture stay together as a single color when painted directly on the fiber it’s being used to dye, then other mixing primaries may be selected whose properties are more similar to one another. I would recommend that you start with Dharma’s 401 Brilliant Yellow (for both warm and cool), 402 Fire Engine Red (warm), 411 Deep Magenta (cool), either 404 Sapphire Blue or 409 Dark Navy (warm), and 407 Caribbean Blue (cool). You may also want 413 True Black. Other people might recommend a slightly different list, for starting out. Dharma also lists their 413 True Black as a mixing primary; obviously, black is not a true primary color, but many people use it for mixing darker, duller shades of other colors. Note that 401 Brilliant Yellow is listed under both warm and cool mixing primaries. This means that it is a very clear, pure yellow, which can be used whether you wish to mix it with reds (for warm colors) or blues (for cool colors). This makes it a particularly good choice to start with. It’s really a judgment call in some cases, a matter of taste, which you prefer. It’s interesting to compare what different dye suppliers recommend. While Dharma lists their 407 Caribbean Blue as a cool blue primary, Jacquard lists this same dye (acid blue 7) as their warm blue primary 624 turquoise. You can use it as either a warm or a cool mixing primary. Dharma’s 406 fluorescent fuchsia is listed as a cool red mixing primary, but, while Jacquard does sell this dye (acid red 52), they don’t list it as a mixing primary at all, but instead recommend recommend their 618 fire red (a mixture of acid dyes) as their cool red mixing primary; they don’t carry the same dye as Dharma’s 411 Deep Magenta. Another way to get an idea of which dyes in a particular dye line are considered by many people as the best colors to start with, for mixing, is to look at which dyes are included in their starter kits. PRO Chemical & Dye’s Washfast Acid dye line has some overlap with some of the Dharma Acid Dyes. In their Warm Palette acid dye sampler, they use acid yellow 199, acid red 151, and acid blue 25. This last dye, acid blue 25, is sold by ProChem as National Blue, and by Dharma as sapphire blue. In their Cool Palette acid dye sampler, ProChem includes acid yellow 19, which is the same dye Dharma sells as 401 Brilliant Yellow, acid red 138, and acid blue 90. Whether to choose fluorescent dyes is another question. Fluorescent dyes are brighter than any others, because they gather ultraviolet light that is invisible to our eyes, and release it as visible light, resulting ina brighter-than-bright effect. Whenever there is a source of ultraviolet light, such as sunlight, or a blacklight, or some fluorescent lights, a fluorescent dye, such as Dharma’s 445 Fluorescent Lemon or 406 Fluorescent Fuchsia, will appear to be exceptionally bright. It will seem less so under a low-ultraviolet light (such as firelight or incandescent lightbulbs). Fluorescent dyes tend to fade faster as the result of light exposure than other dyes, because of the added energy of the ultraviolet light that they absorb, so they are not the best choice for art that is expected to maintain its color unchanged for many years. For archival purposes, it is better to chose more lightfast colors such as Dharma’s 401 Brilliant Yellow instead of 445 Fluorescent yellow, and 411 Deep Magenta instead of 406 Fluorescent Fuchsia, but when the goal is to wow people with exceptionally sharp, bright colors, if longevity is not an issue, the two fluorescent dyes are preferable. Acid dyes tend to be better at either leveling to make a very smooth solid shade, or at washfastness, but not both (ignoring the existence of reactive dyes such as those in the Lanaset dye line). A highly washfast color is harder to get perfectly level in color, but it does not fade as quickly in the wash. A highly level color is less washfast, though of course this varies according to dyeing technique; typically it is best to dry-clean clothing that has been dye with acid leveling dyes, rather than washing it. Dharma marks their acid leveling dyes, in the dye chart on their Instructions tab, with an “L” for “Leveling”, and their acid milling dyes with an “M”. You can mix the acid leveling dyes and acid milling dyes that Dharma sells, but if you are very concerned with leveling or with washfastness, you will want to look into this further. You can get more information about acid dyes on my website; see “About Acid Dyes”, “Leveling Acid Dyes”, and my page about Washfast Acid dyes. 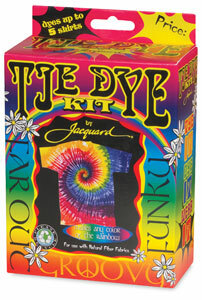 There is a great deal of important information in the “Instructions” tab on Dharma’s Acid Dyes page. I strongly advise everyone to study this information closely before using the acid dyes. This entry was posted in acid dyes, color mixing, dyeing protein fibers on March 10, 2015 by pburch. How much Procion dye powder should I use to get the shades I want? Message: Hi Paula- Thanks for putting up so much information regarding dyeing on your website. I’m dyeing for the first time ever and have bought some dye powder (Procion M) in India- they don’t call it MX here – but maybe it’s the same thing- the lack of technical info here is so limited at dye shops that one wonders how anything is done with such lack of technical information- ! I don’t think you’ll have a problem, working with these dyes. Procion-type dyes are usually sold in standard concentrations, or with a notation that indicates how much more or less concentrated they are than the standard. Procion M dyes are the same as Procion MX dyes. Take a look at my page, “How much Procion MX dye should I use?“. It discusses how much dye to use for solid-color dyeing, and how much dye to use for tie-dyeing. The general rule, as the subtitle for the page says, is to use more dye for darker colors, less for paler colors. You may need only one small spoonful of dye to color a pound of cotton fabric to a medium-light color, or twelve times as much to get a good rich dark black. Whenever you see a percent sign, all you need to do is divide by 100. For 500 grams of fabric at a 2% DOS, you need 10 grams of dye. That’s 2 (the DOS) divided by 100 (for the percent sign), multiplied by 500 (for the number of grams of fabric). For 200 grams of fabric at a 2% DOS, you will need 4 grams of dye. For example, look at the web pages where PRO Chemical & Dye, an excellent dye supplier in the US, shows their Procion MX type dyes, which they sell under the name PRO MX Reactive Dyes. Scroll down to the color chips on their first page of Procion dyes. If you click on a color chip, for example MX 108 Sun Yellow, they take you to a page which includes a note on what percentage of dye to use to get the same color intensity as the color chip, in this case 4.0% OWG. That is the same as using 4 grams of dye for 100 grams of fabric. One pound is the same weight as 454 grams, so, for one pound of fabric, you would need 4.0 divided by 100, times 454, or 18 grams. Some of the dyes require larger amounts of dye powder for the indicated color, while others require less, depending on both the intensity of the color desired, and the density of that particular dye powder. They also add that, for the dye powder that they supply, the volume of dye (in this case PRO MX Sun Yellow 108, or Yellow MX-8G) needed for that particular yellow is approximately 6 level teaspoons per pound of goods. One teaspoon equals 5 milliliters, so 6 level teaspoons is the same amount as 30 milliliters (or 30 cubic centimeters). This means that our 18 grams of this particular dye powder weighs 3 grams per teaspoon, or 0.6 grams per milliliter of dye powder. Different lots of dye have different densities, though. Your dye powder might be denser, so that it weighs more per teaspoon, or it might be fluffier, so it weighs less. The dye strength is always standardized by weight, not by volume. When you want to precisely replicate what you see in a color chip, or to replicate a color you have made before, you will need to weigh your dye powder, instead of measuring it by the spoonful. Do you have a scale that can measure 10 grams of dye? If you do not, you can measure by the spoonful and use trial and error to determine how much dye powder to use. Use the amounts specified by your booklet as a guide, but keep careful notes as to whether the color you achieved turned out as you planned, or whether it was more intense or less intense. Note that Procion MX type dyes become weaker with time. They will usually stay good for at least one year after purchase, though sometimes they last for several years. As they become weaker, you have to use larger quantities of dye powder to get the same color. Protect your stored dye from air, moisture, and warmth. Be sure to use fabric that is dyeable, either cellulose fibers, such as cotton or rayon, or protein fibers, such as silk. Do not try to dye polyester. Nylon should be dyed with other types of dye, as well, though there are ways to make this dye work on nylon. You will need a chemical that increases the pH, such as sodium carbonate (which is Na₂CO₃, sold as washing soda or as soda ash). You will need a pH around 10.5 to 11 to encourage the fabric to react with the dye. Be careful not to breathe the dye powder, because it can cause allergies, which would prevent you from continuing to use the dye. Wear a dust mask while you are measuring out the powder, and keep the lids off the jars for as short a period of time as possible. Once the dyes are dissolved in water, you no longer need to wear the dust mask. Wear gloves to protect your hands from the dye and from the soda ash, which is irritating to the skin. I hope you’ll let me know how it goes. This entry was posted in color mixing, Procion MX dye on September 3, 2014 by pburch. Will a fabric reach a saturation point after which it cannot take any more dye, or any more dye of a given colour? Your website is an amazing resource! Thank you so much for putting it together and sharing it. I have a general question about fiber reactive dyeing, and a specific example in my current project: Will a fabric reach a certain saturation point after which it cannot take any more dye, or any more dye of a given colour? In other words, if I go through the dye cycle (apply dye, wash out, dry) several times, should the fabric get successively darker with each cycle, or does it max out at some point? Here are some additional details: I’m using the direct application method (soda ash soak, then applying concentrated dye, then letting sit in a ziploc for 24hrs, then washing in hot water). I’m following Dharma’s instructions for direct application tie dye for mixing chemicals and dyes, including urea. I don’t think my problem is a shortage of pigment, because there is a lot of excess colour in the rinse water. Ambient temperature is around 29C (summer in Montreal without AC). My dyes are about 10 months old. I think my process is generally ok, because the first round of dyeing gave a completely reasonable result in terms of saturation and turquoise-yellow balance. Really, I’m nitpicking to get a colour that’s more special (deep and glowing!) than what might be found in commercially dyed fabrics. Thanks again for all of your time and work! I’d be very appreciative if you’d have time to consider and respond to my query. It is possible to max out the dye receptors on a piece of fabric, but I don’t think that’s your problem here. It often happens that dyers max out the dye sites when working with a fine sheer silk, simply because there aren’t that many there to begin with, due to the thinness of the material. You may be able to get only two or three layers of color on a very thin fabric. However, an ordinary cotton jersey has a lot more dye receptors, due to the much greater thickness of the fabric. It can seem as though you’ve used up all the dye receptors, but then the process of washing out the excess dye and drying the fabric exposes more dye receptors, just due to the physical manipulation of the cellulose fibers in the cotton. Different bits of the cellulose fibers can be exposed to the surface. You should be able to get a difference in color for each of six rounds of dyeing, if not more. The problem in your case, I think, is that turquoise is such a pure, clear color that you cannot get it much darker beyond a certain point. This does not mean that all of the dye receptors are used up, because if you choose a duller blue for your next round of dyeing, you will see that it find more dye receptor sites and produces a darker color. It is not because your turquoise is refusing to bond to the fabric–it sounds like you are doing everything right in that respect–it is because of the nature of the color itself. The same is true of a few other colors of Procion MX dye, as well. For example, lemon yellow (Procion Yellow MX-8G or C. I. reactive yellow 86) cannot be used to make a dark yellow color, no matter how many times you reapply it, and cherry red (Procion Rubine MX-B or C.I. reactive red 6) will always produce a clear pink, not a bright red. These colors have a distinctive spike in their color absorption spectra, absorbing only a narrow range of colors in the rainbow, whereas duller colors absorb light over a much wider section of the rainbow. With these dyes, adding more of the same color of dye does very little to intensify its color, after a certain point. What I think you should do next, to get a deep glowing emerald green, is stop trying to add more turquoise (Procion Turquoise MX-G or C.I. reactive blue 140) and instead use cerulean blue (Procion Blue MX-G or C.I. reactive blue 163). This is a lovely pure blue that is toward the turquoise side, but it is less green than the turquoise dye. It tends to be more expensive than other Procion MX dyes, but it is such a worthwhile color that I think you need to acquire some. Other blues, such as Procion Blue MX-R (sky blue or basic blue) or Procion Blue MX-2G (cobalt blue or mixing blue), will also make the color bluer and darker, but, since they are duller colors in themselves, they will not produce as glowingly bright an emerald green. If you haven’t already, take a look at my page detailing all of the different unmixed single-hue Procion MX dye colors, “Which Procion MX colors are pure, and which mixtures?“. Generally, these are the colors you want to consider when mixing your own dye colors; you will want to avoid using pre-mixed dye colors as mixing primaries. Not all of the unmixed dye colors are available from any one dye retailer, though many of them are available from multiple retailers, sold under different names. The chart lists the different names used by the most popular dye retailers for the same dyes. This entry was posted in color mixing, Procion MX dye on July 18, 2014 by pburch.